« Theresienstadt- “Spa town”. The real Holocaust hoax. This parade of unfathomables. Krakow. At the lull in Prague while waiting for our transport to the train station for our journey East into Poland, I had a conversation with one of our tour leaders, Stephen F.
It seems to me that our study seminar, which is taking us to these authentic sites and involves intense discussions in the evening after emotionally charged days, is not necessarily just about how to teach the Holocaust and the Jewish resistance to it, but also about teaching one how to think, how to look at things differently. But if you are not grounded and well versed in these multifaceted events and happenings, you are not doing anyone who is in your charge any favors. So that is what we are doing on this trip. He grabbed my arm, and said, emphatically, yes, yes, YOU GET IT. Encountering the events at the very sites where they unfolded. And then thinking about them. Very hard. At one point after dinner, our other tour leader, Elaine C., wanted to know how we were going to incorporate various aspects of what we were studying into our teaching. This is the constant theme. These teachers are definitely NOT on vacation. I was not afraid to answer with a firm “I don’t have any idea”. I don’t think many of us did, but it sure was one more thing to think about. Because I am still trying to make sense of this parade of unfathomables. I discuss with roommate Tim B. in the evenings. We bounce these things off each other. We are all in this together. There are right ways, and certainly wrong ways, for a teacher to approach the subject in the classroom. Incorporating narrative should be a no brainer. Testimony is crucial to making the history visceral. We talk about these issues. But in a real sense we ourselves are traveling back in time. We ourselves are also becoming some sort of witnesses, to the greatest crime in the history of the earth, and the watershed event for all humanity. And this carries some pretty heavy responsibilities, as one of my readers recently wrote me. compromising errors, even from someone who write so extesively…. 71 passed and some well intentioned man made error in the publication read by so many people. What will happened in the next 29 years ? One hundred year will be passed , when only some 200 Warsaw young Jews from Warsaw ghetto population of 50 000 decided to fight. How many errors, will be commited , How many distorsion of History be made by good people. So many words for so little mistakes. Why make aproblem with 1944 ? But for me who survived those two Warsaw uprising one in 1943 and one in 1944 , is not a small matter. Those Warsaw Jews fighted with no hope.The Soviet front long way. 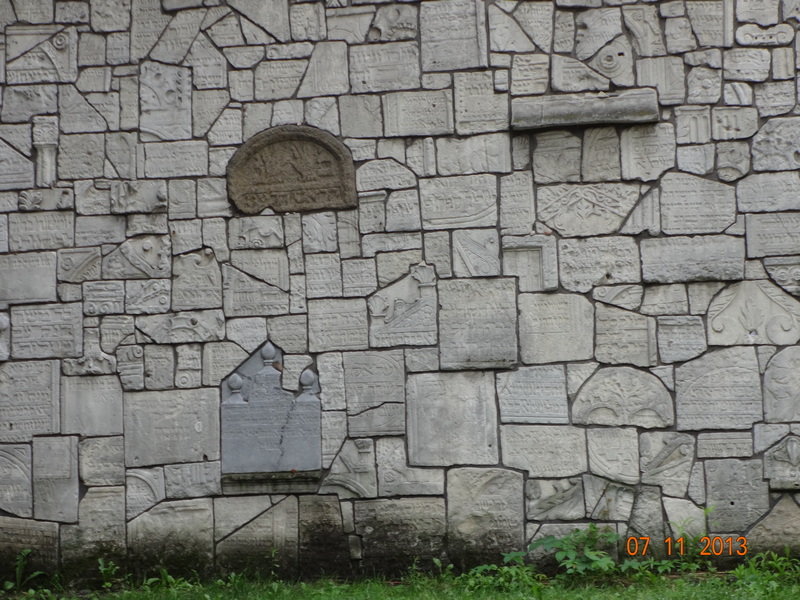 The WarsawPoles fighted, beacouse enormous Soviet army was acros the river Wisla who divided Warsaw it self…. I made many orthographic and taping errors. Please look at the facts , and not at the spealing mistakes. Now believe me, I hear from a lot of folks, some of whom are out to do battle with me for silly reasons. But he was certainly in the right, and I could not agree with him more! It is a BIG deal! The date DOES matter (though nowhere in the post was I specifically confusing the 1943 Warsaw Ghetto Uprising with the Warsaw Uprising of the following year). Of course I wrote him back, and corrected my oversight. Teaching history DOES matter- and my mantra has always been that as teachers, first and foremost, we have an obligation to lay it out correctly. And so now we are on way to Poland, and of course Warsaw, but first, to Krakow. Speeding along the tracks. 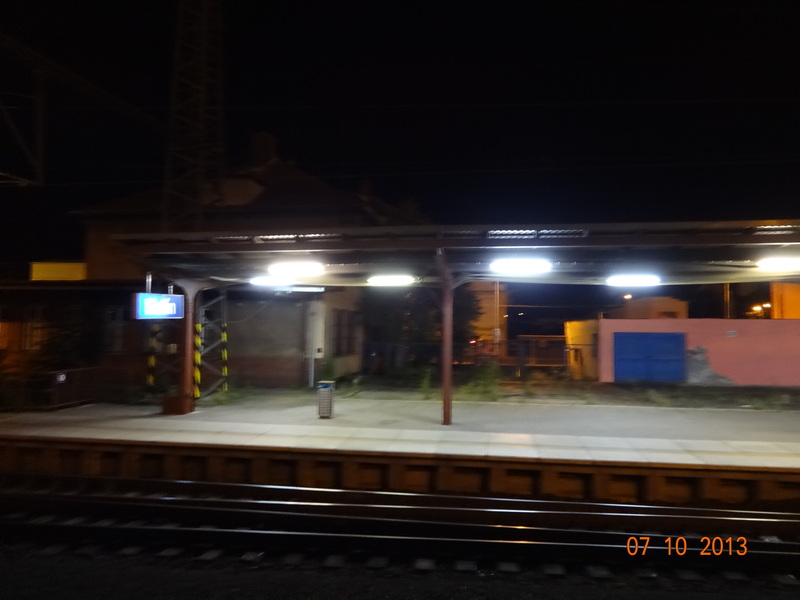 Night train to the East. Hours of clacking and swaying. A little unsettling. 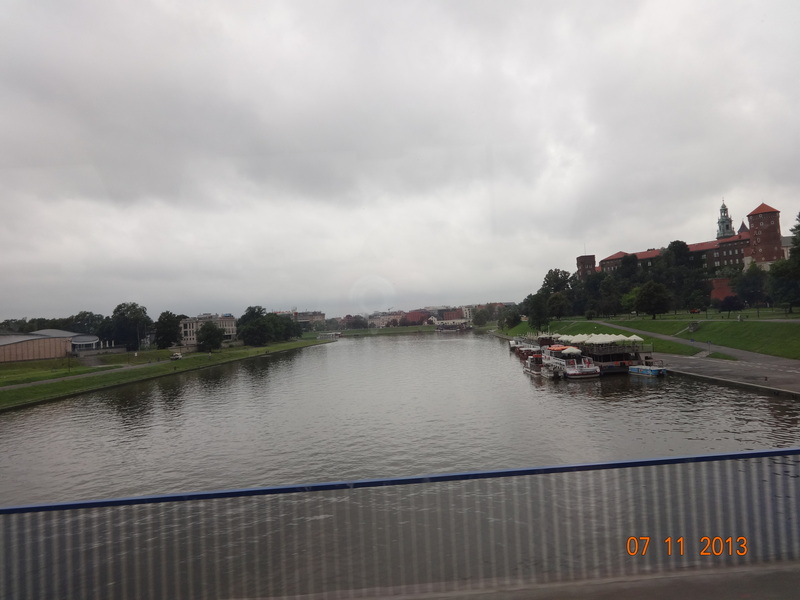 We arrive in Krakow, Poland, in the morning. The German Army arrived on Sept. 6, 1939. The Castle on the Vistula. 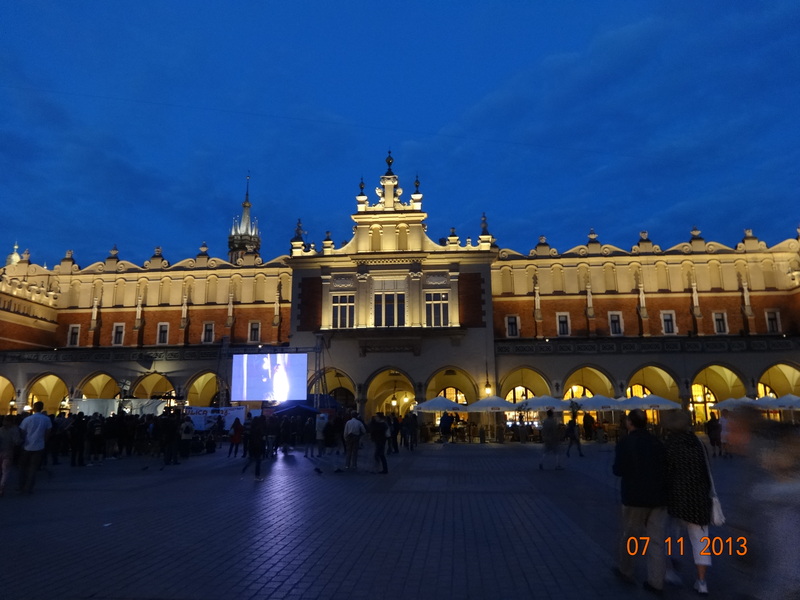 Krakow is a lovely and vibrant little city of 850,000, currently in revival after the fall of communism 20 years ago. Wawel Castle in the heart of the town on the Vistula River became the seat of the German General Government for the administration of the Polish Occupied Territories under Hans Frank. The guy’s name sends shivers down my spine. After the war and after his trial at Nuremburg he was executed. His son, Nicholas Frank, lectures widely to high school students in Germany and elsewhere. 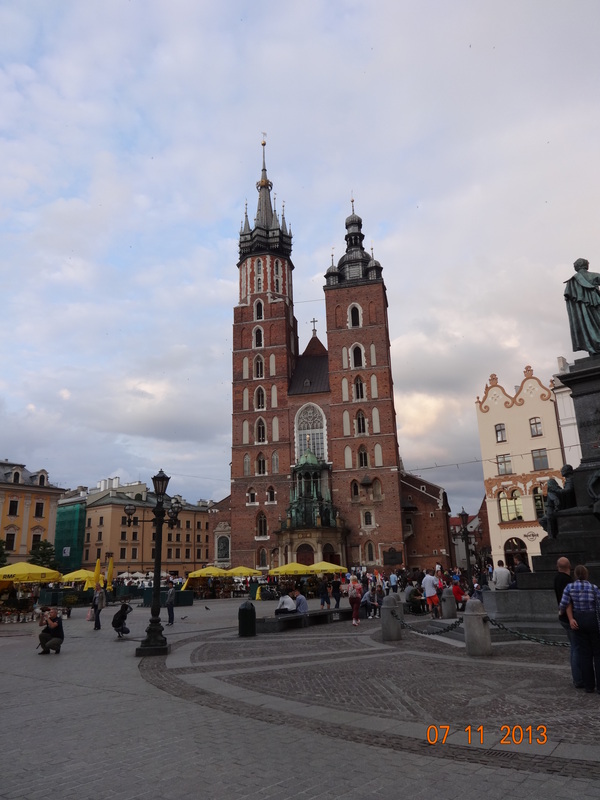 St. Mary’s Basilica, Krakow. Seat of the Archbishop. Pope John Paul II’s home church. 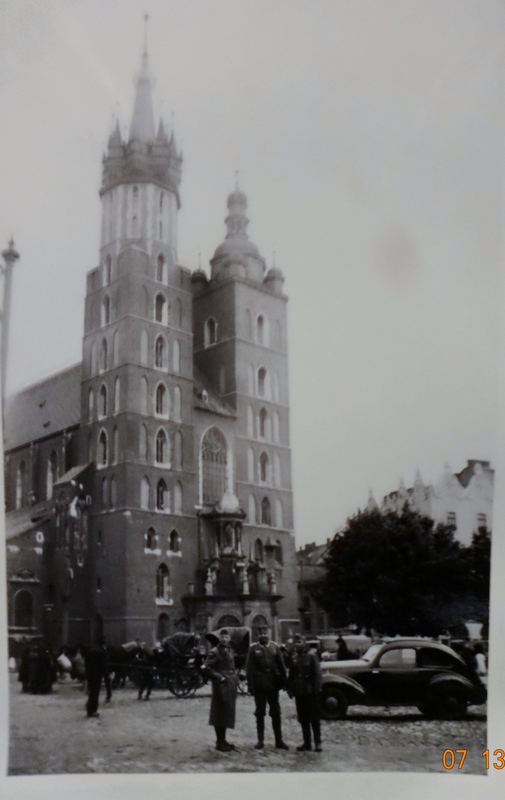 St. Mary’s Basilica, Krakow. During the occupation. 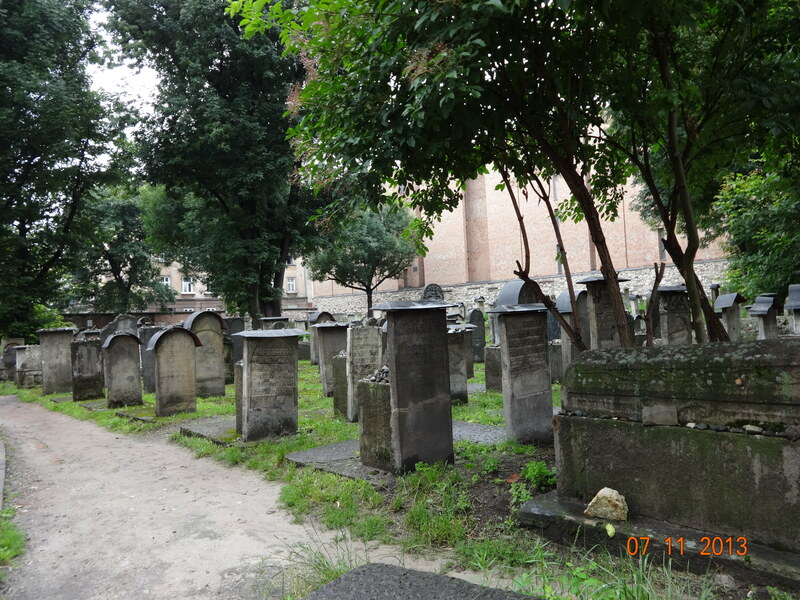 Old Town, in the Jewish Quarter, before the Old Synagogue. 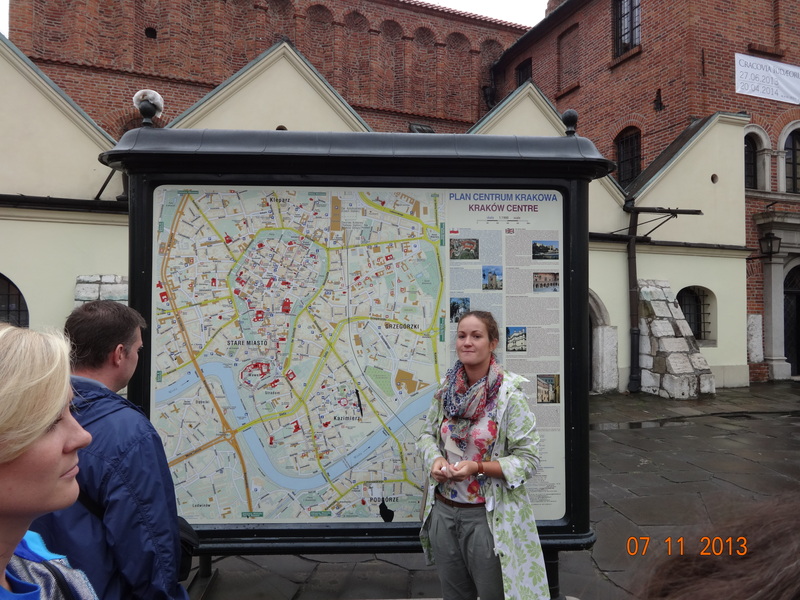 We tour Kazimierz, the Old Town, and the Jewish Quarter. 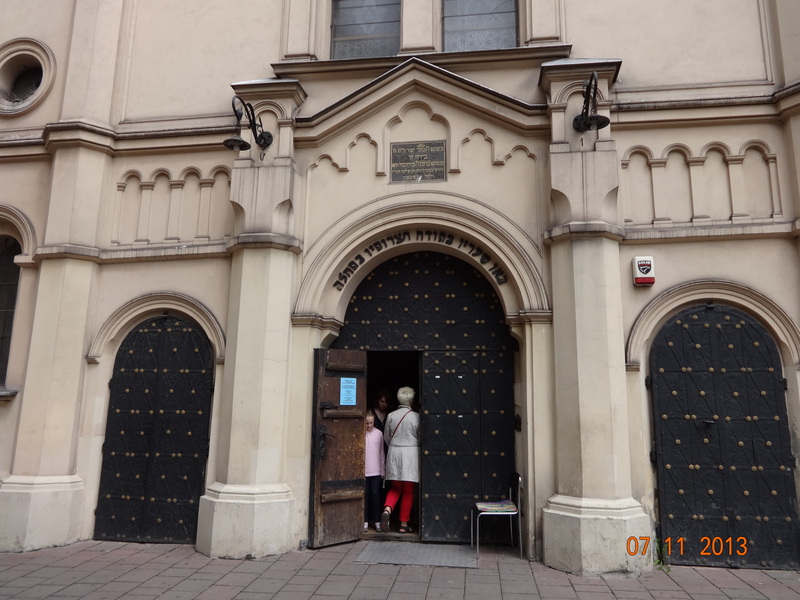 The Jewish presence was strong from the 13th century.Our knowledgeable guide Gusia takes us to the oldest synagogue in Poland. It survives following the liquidation of the ghetto because the Germans use some of the buildings, for example, as stables. 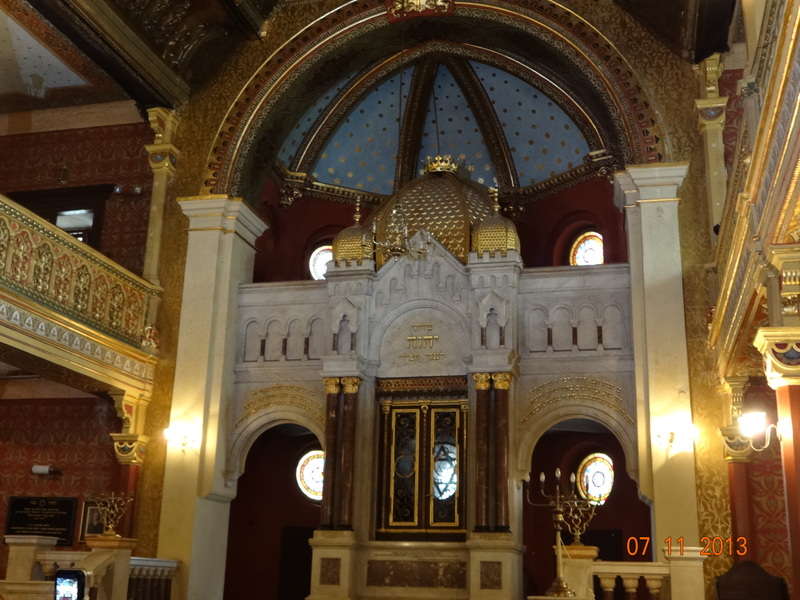 Tempel Synagogue, interior. Germans used it as a stable. St Mary’s Square, with fellow travelers Scott and Tim. We will be here for a couple days. Rest up tonight. For tomorrow, the tour continues. The day that many of us approach with a bit of apprehension will be finally here. We heading to Auschwitz, 50 miles to the west south west.